Today’s world is dominated by technology and software is its language. This trend can only grow in the future where technology will permeate every aspect of life. Digital literacy is the next-gen literacy and computational thinking is the next-gen thinking of the tech rock stars of the future. The future belongs to those who know how to use this language as creators and innovators to shape the world. Encouraging hardware invention through easy to use littlebits™ electronic building blocks that use magnetic circuits to create thousands of projects. Digikids has partnered with (ISC)2 Kenya Chapter to build a strong information security culture in our students to enable them become responsible digital citizens. Our internet safety and security education lessons are incorporated into each of our programs so as to bring cyber security information down to a level that children can understand. The training teaches children how to protect themselves online and become responsible digital citizens which allows them to feel comfortable visiting their favorite websites and playing their most challenging online games. Follow @iLabAfrica on Instagram , Twitter and Facebook. The information was first published on the digikids website. This entry was posted in @iLabAfrica, Bootcamp, Uncategorized and tagged bootcamp, Child Online Safety, Digikids, technology. You are, and each of your team members is, at least 18 years old and the age of majority in your/his/her jurisdiction of residence. If you are considered a minor in your place of residence, then you will require parent or legal guardian permission prior to registering for this contest. You must attend Negawatt Weekend in person to be eligible to win. Neither you nor any of your team members are involved in any part of the creation, promotion, execution or administration of Negawatt Weekend. If a Participant is an employee of a corporation, government or an academic institution, enrolled as a student or representing his or her employer, government, or academic institution in Negawatt Weekend, it is his or her sole responsibility to review, understand and abide by his or her employer’s, government’s, or academic institution’s policies regarding eligibility to participate in Negawatt Weekend. If a Participant is found to be in violation of his or her school’s, government’s or employer’s policies, then he or she will be disqualified from participating in Negawatt Weekend and being awarded or retaining any prize. The World Bank disclaims any and all liability or responsibility for disputes arising between a student or employee and his or her school, government or employer related to Negawatt Weekend. Negawatt Weekend does not discriminate based on race, religion, gender, age, sexuality, gender identification, or physical ability. Submitted entries must be relevant to the theme of solutions for urban energy efficiency. There is a limit of one submission per team. Teams are capped at five persons per team. You may work on the concept for the entry prior to commencement of Negawatt Weekend. Participants will pitch a live demo of their entry before a judging panel at the end of each Negawatt Weekend. Each team will be given approximately 5 minutes including their product demonstration. Judges will select winners based on value creation (25%),relevance to published Negawatt challenges (15%), technical feasibility (25%), financial viability (25%) originality (10%). In the event of a tie, the judges will deliberate a winner. This entry was posted in @iBizAfrica, Bootcamp, contest and tagged Challenge, Energy, Negawatt Weekend. 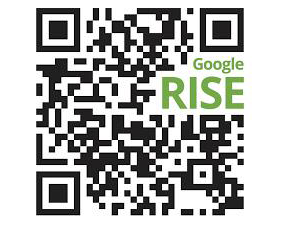 @iLabAfrica is One of the Recipients of the Google RISE Awards 2015! We aim to hold Computer Science Holiday Boot Camps in Kenya for girls between ages 12 to 18 in the months of April, August and December Holidays. The aim of this program is to introduce Computer Science to girls at an early age as well as increase their interest in STEM (Science, Technology, Engineering and Math Education) related subjects, through activities that promote knowledge and discovery. For a long time the technology sector has faced allegations of being a male dominated sector. Girls fear taking up technical subjects and have been underrepresented in this area. The program aims to open up their minds for future opportunities in this field. More details on this project will be posted soon, so keep it here. This entry was posted in Bootcamp and tagged @iLabAfrica, Computer science, Girls, Google Rise, STEM.